Inflationary pressures in the poverty-stricken Pakistan have been longstanding, no matter what the numbers are. Easing to the long-awaited single digit 7.8 percent in July, the speed of backbreaking price hike in this crises-hit South Asian country has, reportedly, averaged at 8.04 percent between 1957 and 2014. Historic high and low for the rate of inflation is, respectively, 37.81 percent (December 1973) and -10.32 percent (February 1959). The reasons thereof are not only of economic nature but administrative, and perceivably political, too. 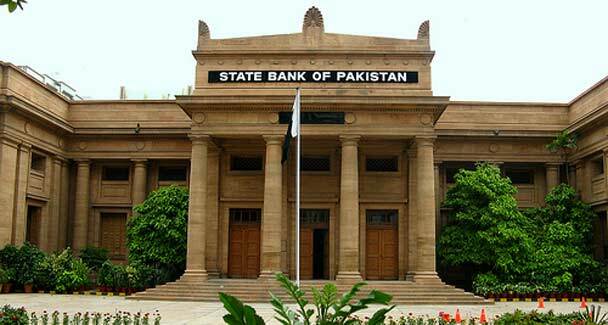 A study carried out by the State Bank of Pakistan (SBP) reveals that short tenures of the central banks’ governors make inflation persist in the developing countries like Pakistan. Also, the short-lived governorship reflects adversely on the regulators’ independence vis-à-vis the governments that are prone to take politically-motivated decisions, unveils the study. “Monetary Policy Framework In SAARC Region,” according to SBP Governor Ashraf Mahmood Wathra, is a unique study of comparative monetary policy frameworks in the eight-member South Asian region. South Asian Association for Regional Cooperation consists of Afghanistan, Bangladesh, Bhutan, India, Maldives, Nepal, Pakistan and Sri Lanka. “A negative correlation exists between inflation and governor‘s average term in office, particularly for developing countries,” observe SBP researchers citing a study conducted under the head of Cukierman and Webb in 1995. The study finds Pakistan, along with Bhutan in the SAARC region, as a country having the “shortest” three-year tenure for central bank’s governor. This period, the study adds, also is “shorter” than Pakistan’s five-year election cycle. President of Pakistan appoints the SBP governor for a three-year term, subject to a 65-year age limit. Unfortunate, however, is the fact that in recent years the State Bank has been facing a governorship crisis for reasons that the analysts viewed as more political in nature than administrative. Official record reveals that there have been 18 governors at SBP since June 10, 1948 when Zahid Hussain had taken the bank’s helm as its first governor for five years that ended on July 19, 1953. Others succeeded Hussain included Abdul Qadir (July 20, 1953 to July 19, 1960), SA Hasnie (July 20, 1960 to July 19, 1967), Mahbubur Raschid (July 20, 1967 to July 1, 1971), SU Durrani (July 1 to December 22, 1971), Ghulam Ishaq Khan (December 22, 1971 to November 30, 1975), S Osman Ali (December 1, 1975 to July 1, 1978), AGN Kazi (July 15, 1978 to July 9, 1986), VA Jafarey (July 10, 1986 to August 16, 1988), IA Hanfi (two terms: August 17, 1988 to September 2, 1989 and September 1, 1990 to June 30, 1993), Kassim Parekh (September 5, 1989 to August 30, 1990), Dr Muhammad Yaqub (July 25, 1993 to November 5, 1999), Dr Ishrat Husain (December 2, 1999 to December 1, 2005), Dr Shamshad Akhtar (January 2, 2006 to January 1, 2009), Syed Salim Raza (January 2, 2009 to June 2, 2010), Shahid Hafiz Kardar (September 9, 2010 to July 18, 2011) and Yaseen Anwar (October 20, 2011 to January 31, 2014). Ashraf Mahmood Wathra has been appointed as the 18th SBP governor from April 29 this year for a three-year period. While official data prove AGN Kazi as a longest serving governor of the State Bank, SU Durrani could manage to keep the top banking slot only for five months in 1971. The real crisis seemed to have unfolded from January 2009 when Dr Shamshad Akhtar had retired on the completion of her three-year tenure. Ever since, the all-important central bank has seen four governors: Salim Raza (for 17 months), Shahid H Kardar (for 10 months), Yaseen Anwar (almost 25 months) and now Wathra (sitting). None of the first three governors could complete his constitutional tenure for this or that reasons. After Kardar’s departure the bank had waited for three long months to have a new governor: Yaseen Anwar, who also resigned under mysterious circumstances after almost 25 months. Anwar had cited the accident of his child as a reason for leaving the job. Asked if the SBP was seeing these frequent changes on its helm having adversely impacted the still-higher inflation numbers, the bank’s chief spokesman appeared to respond diplomatically. “The first thing that needs to be understood is the difference between ‘correlation’ and ‘causation’,” said Dr Hamza Ali Malik, SBP’s chief spokesman and a director Monetary Policy Department. The former concept depicts just the association between two variables and does not imply which is causing what, he added. The latter concept, he said, explicitly captures the direction, that is, variable X caused changes in variable Y and not the other way around. “The Cuikerman and Webb study just reports correlation and does not imply causation,” the chief spokesman said. In simple words, Dr Malik said, it meant that there were “many factors” that might be affecting/causing inflation and the average tenure of governors. “It does not say which one is causing which,” he said.